How to convert mmol/l to mg/dl? How to convert mmol/L to mg/dL? Is there any converter for easier understanding of diabetes blood sugar readings? What about any A1C test converter? I know that you keep reading thousands of articles on diabetes. And of course, you keep measuring your blood sugar levels by a meter which is not using the measurement system that you are used to. So, you may face some difficulties while converting mmol/l to mg/dl or mg/dl to mmol/l. But you need to face them in order to understand what is happening to your body. Actually, there are two measurement systems for blood sugar levels. The first one is the world standard and the second one is the US standard. The world standard uses mmol/l, while the US standard uses mg/dl. 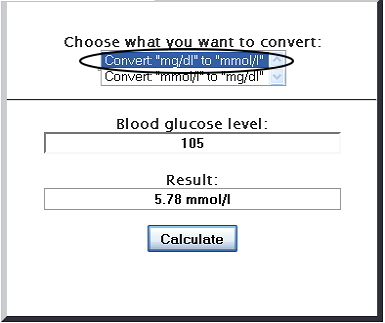 Now, if you want to convert mg/dl of glucose to mmol/l, you can divide the result in mg/dl by 18 or multiply by 0.055. But, if you want to convert mmol/l of glucose to mg/dl, just multiply by 18. In case you need more details, below I’m showing you an interpretation of the numbers for each of the measurement systems. 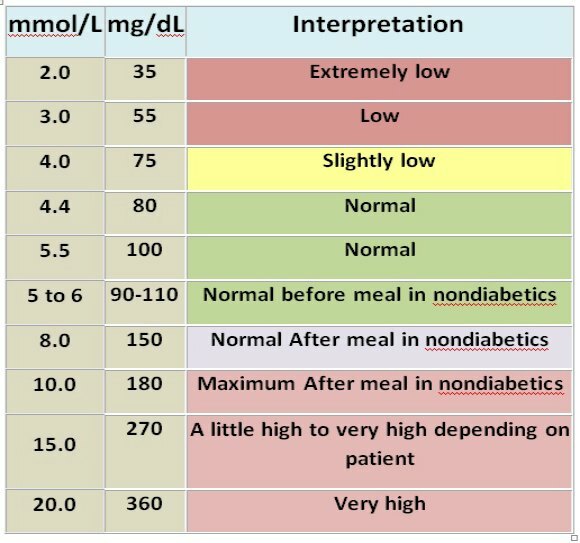 If you divide mg/dL by 18, then, you can easily calculate from mg/dL to mmol/L. It's important to get a good interpretation of the results. Did you find it difficult to use the converter? Our team will help you. Type your concern here and get helped now! If you find your blood sugar levels too high, should start taking appropriate changes in your diet and lifestyle regimen. 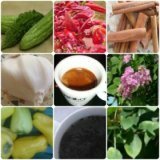 Natural alternatives can help lower your high blood glucose and the risk for future complications. Find it out how.